Our annual Open House for 2018! Saturday, December 1, 2018 ONLY! Open House Specials for 2018! Sales tax is not included in these prices. Phone and FAX (858) 755-7572. 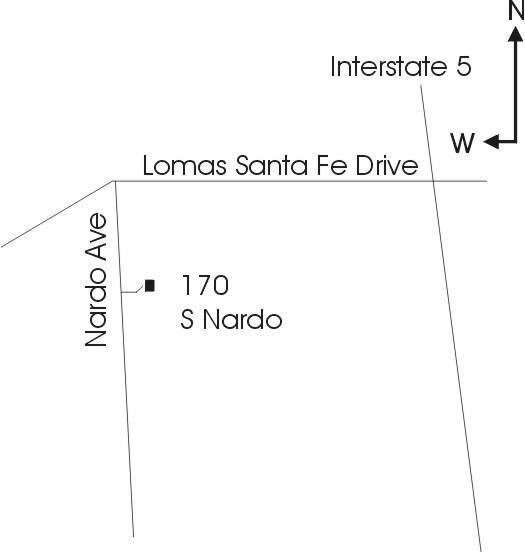 Detailed directions: From Interstate 5, take Exit 37, Lomas Santa Fe Drive, west 0.6 miles to Nardo Ave. Go south on Nardo about 600 feet to the white mailbox numbered 170 and park on the street. Walk down the driveway, past the new house on the left, and down the hill to the open garage off the brick drive and you've found us. Please consider carpooling since parking on the street is limited. Lots of divisions from our show and breeding stock, including some first-time releases! For those who can't make it to the Open House, we will accept mail orders for seedlings or meristems at the open house prices for the month of December. Print out the order form, fill it out including shipping and sales tax, and mention the open house seedling price and send it in. Shipping charges apply to all mail orders unless they are picked up at the nursery.